The first snow fell overnight. It’s melting away already and the light is flat and almost shadowless. Sometimes that kind of light is perfect. That is truly lovely response. thank you Elena. Very nostalgic and beautiful photographs. Beautiful feel to these images. 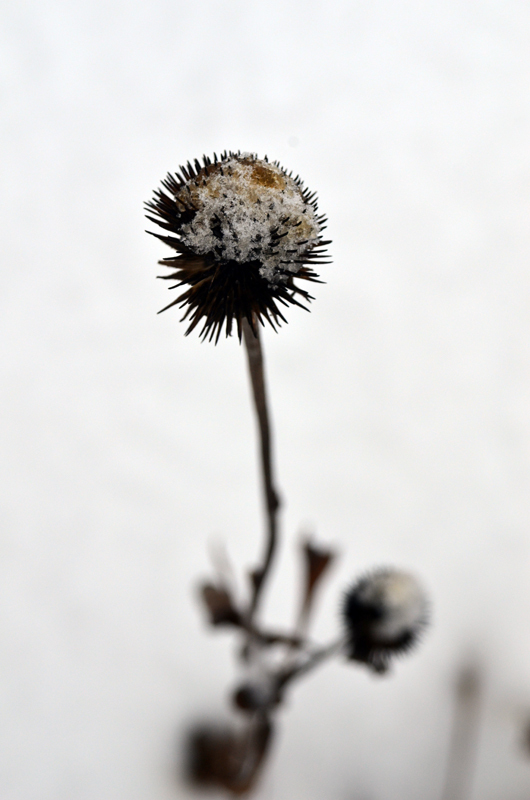 I love the bleakness that you have captured! 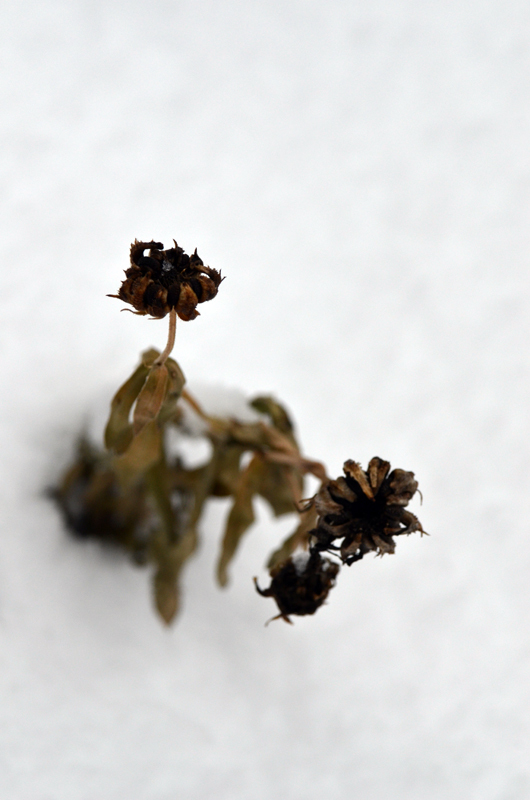 All these images represent stillness in time; to appreciate a flower that bows down upon onset of winter… or the leaf that has lost its colour. Beautiful. cold and perfect, its winter! Hi Karen – These images are beautiful! I find them quite ‘haunting’ in a nice way. 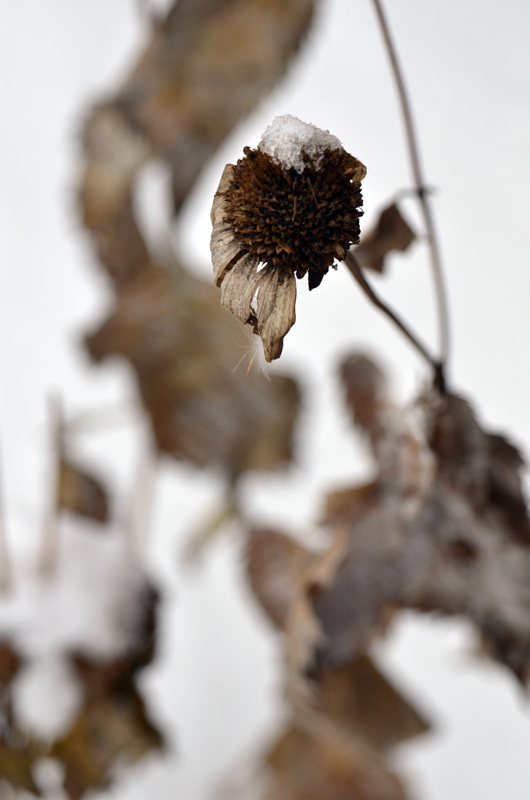 They are well composed and I like the effect of the shades of brown against the white snow. They make me shiver! This definitely is photography and art merged into one! I have just learned how to add a ‘Favourite Blogs by Other Bloggers’ area to my own blog and these images, among many of your others, are why I have added you! Thank you for all your kind feedback and I am touched that you added me in to your favourites area on your blog! How kind! You’ve just been nominated for a Liebster Award. So beautiful 🙂 I love them all but the second is my favorite!! Wonderful eye!! these photos are gorgeous! the first snow is always so magical & you captured it beautifully! 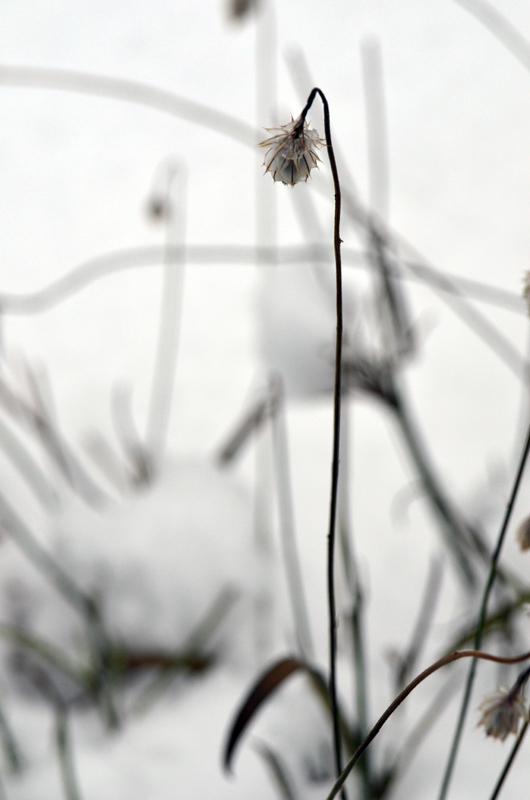 I like the juxtaposition of the new pure snow and the decay of the plants. The blur in the background really makes the main subject pop out. Well done. I really do like your use of neutral space and contrast. Those white backgrounds do it for me. 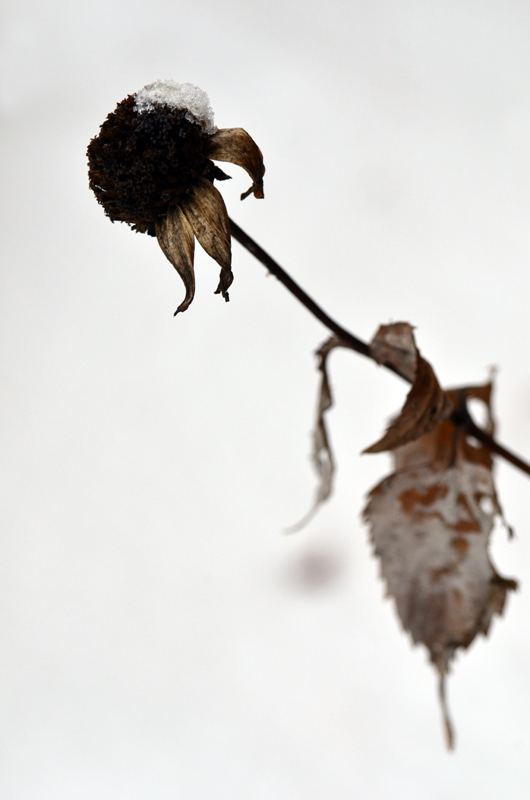 Again, you’ve creatively taken something bleak and lightly tragic and turned it into a think of almost soft beauty. These are really lovely. I was showing your blog and photos to my Mum over the weekend and she really loved them. 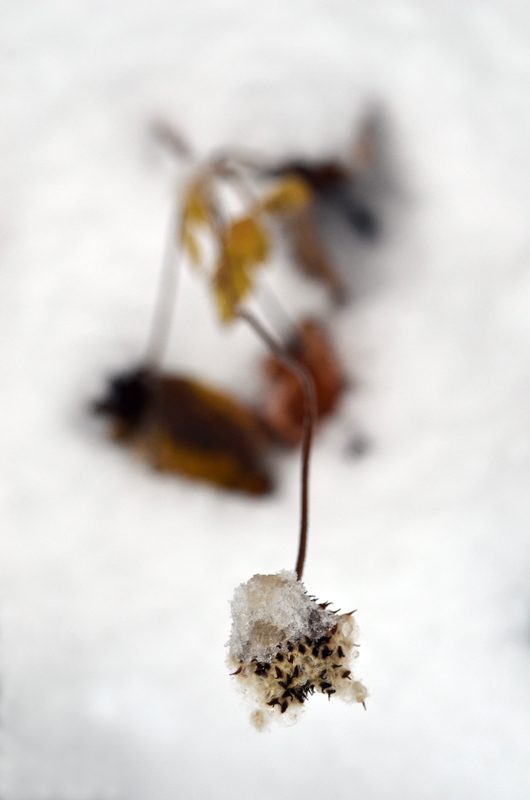 Ah, snow makes even dead things beautiful! There is real tenderness in these photos..beautiful.